إن فندق Bellevue At Trinity Beach بموقعه الممتاز في شاطئ ترينيتي هو نقطة انطلاق جيدة لنزهاتك في كيرنز. يمكن من هنا للضيوف الاستمتاع بسهولة الوصول إلى كل ما تقدمه هذه المدينة النابضة بالحياة. بالنسبة لمن يريد الخروج، هذه بعض المعالم السياحية المتوفرة للزوار Half Moon Bay Golf Club, Paradise Palms Golf Club, Cairns Bungy Jump - AJ Hackett. إن الخدمات الممتازة وحسن الضيافة العالي في Bellevue At Trinity Beach تجعل إقامتك تجربة لا تنسى. تتضمن الميزات الرئيسية في هذا الفندق: واي فاي مجاني في جميع الغرف, مرافق مخصصة لذوي الاحتياجات الخاصة, تسجيل وصول/خروج سريع, تخزين الأمتعة, واي فاي في المناطق العامة. بالإضافة لهذا,تتضمن كل غرف الضيوف مجموعة واسعة من وسائل الراحة . بعض الغرف توفر حتى تلفزيون بشاشة مسطحة, اتصال لاسلكي بالإنترنت, حوض الاسترخاء, غرف لغير المدخنين, مكيف هواء لإرضاء أكثر الضيوف تطلباً. إن مسار جولف - ضمن 3 كم, حمام سباحة خارجي, مسبح (للأطفال), حديقة هو المكان الأمثل في الفندق للاسترخاء وتفريغ طاقتك بعد نهار طويل. إن Bellevue At Trinity Beach هو خيارك لخدمة الفنادق الراقية في كيرنز. The room was the best location and wonderful I have ever experienced. 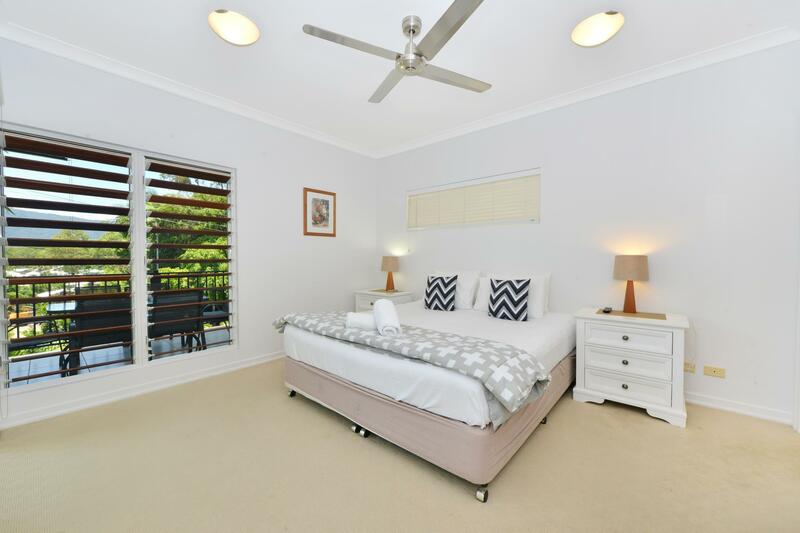 Clean and spacious with two bathrooms. The staff was very kind and helpful for the stay. Kids loved the swimming pool and I myself enjoyed the outdoor spa as well as indoor. 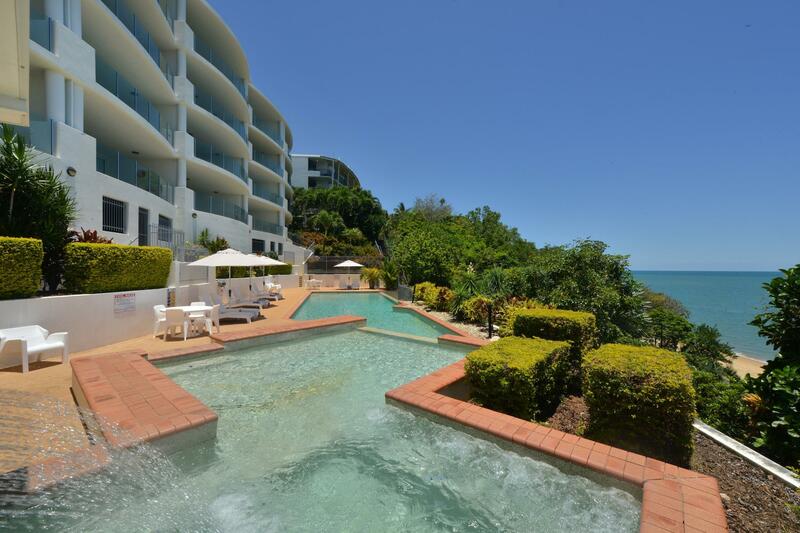 Luxory apartments with amazing view of the beach and really great pool area. Loved the distribution, I would definitely recommend these aparthotels. From this place we could book for the reef tours, the rain forest Daintree, and sky rail/train. Love it!! Very friendly and helpful staff. 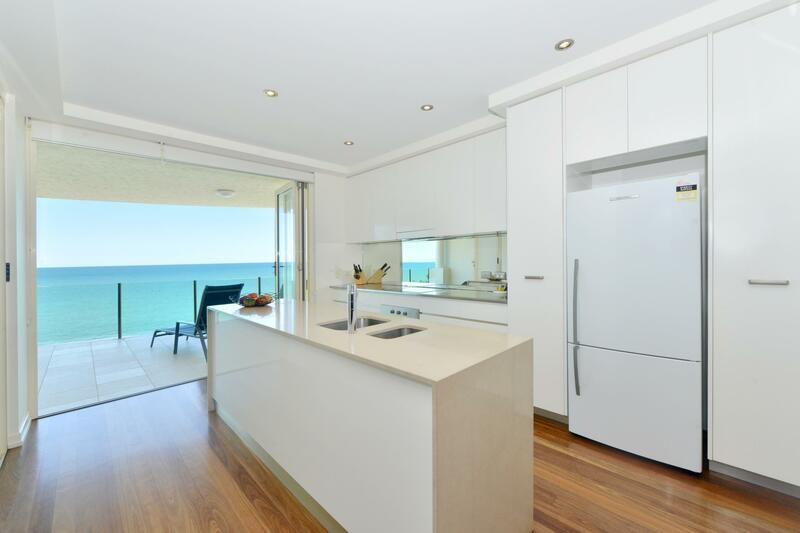 Luxurious spacious apartment, very well equipped , with amazing view. Loved everything about it , but would have liked to have stayed much longer! We had a huge apartment with everything we needed including a washing machine and dryer. The reception lady was very helpful and friendly, communication prompt and I would recommend this as a good spot, even if you have an apartment without a sea view. 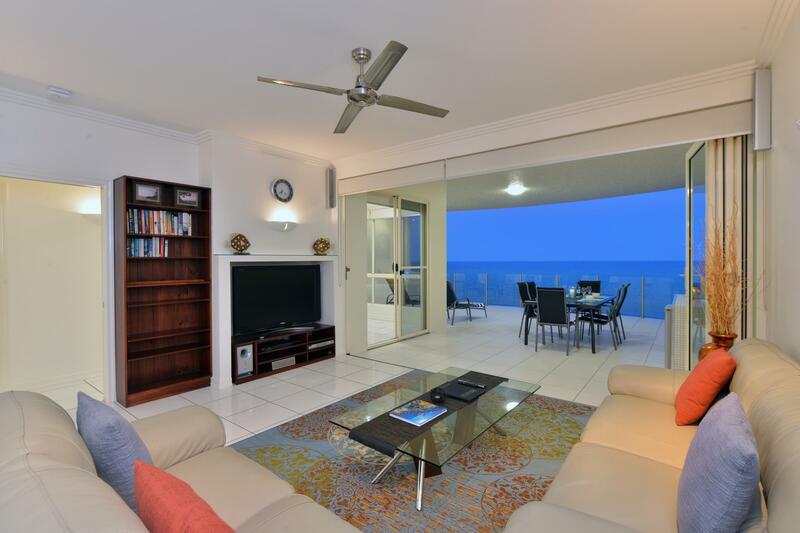 Best views in Trinity Beach and great space with an amazing balcony to enjoy the sunrises and sunsets! Will definitely recommend to others! When I booked through Agoda I thought it is a serviced apartment but in fact it provides no service at all whatsoever. It's totally perfect if I'm booking a family home with Air B&B but I expected someone will come to tidy up my room at least once every second day. Bernard, It is unfortunate that you didn't read the documentation that is given to all guests about our apartments. The booking confirmation sent when booked clearly sates "we aren't serviced apartments" but "fully self contained apartments", it clearly states that the apartment is only "serviced" for a 8 night stay and longer. The guest registration form clearly states that an extra cleaning fee will be charged if the apartment is left in an unclean condition. The pictures taken prove this. You are given a letter the day prior to leaving on what is required before you leave, you admitted to us that you didn't read it. We are sorry that your experience at Bellevue ended so badly. Stayed here with the whole family (2 kids). 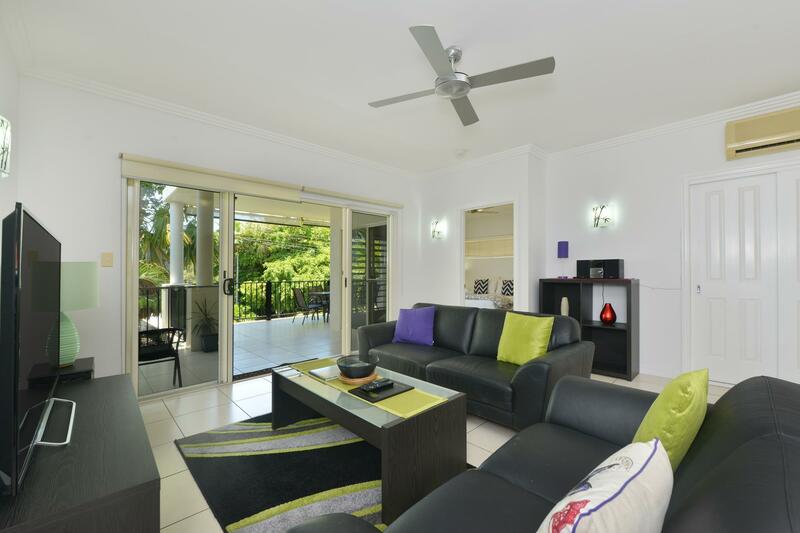 This place is perfectly located, just few minutes drive to Cairns CBD and Palm Cove, and literally just in front of Trinity beach, therefore the view is amazing! The apartment is very spacious, so the kids were free to move around. It has a very large balcony and we loved to hang around there every morning. Everything is provided here and it is very clean! As first timers, Sue has been very accommodating and helped us in bookings. She is very lovely! This has been by far one of the best apartments we stayed in. It is definitely worth it and will come back for sure! Our stay was absolutely wonderful! Our group had a variety of rooms, both garden and ocean views. The top (4th) floor ocean view was the best! 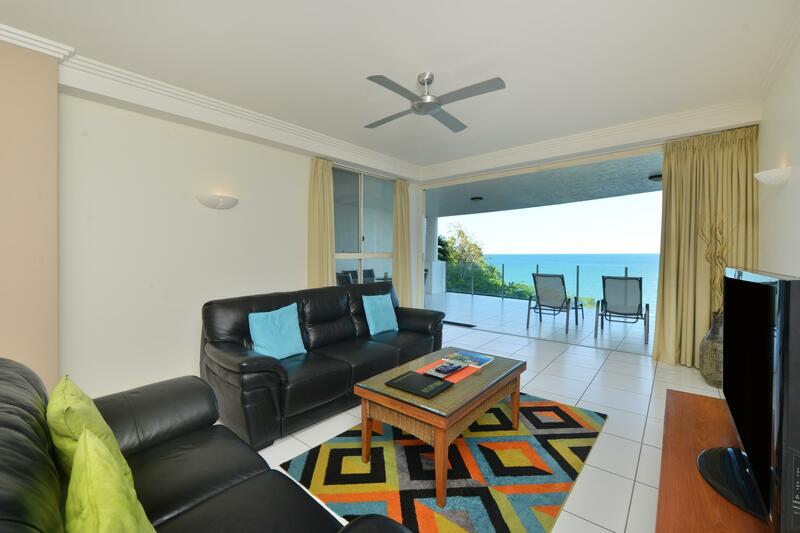 From this room, we had beautiful views - the Coral Sea and swimming pool from our spacious balcony and mountains outside the front door. Sue and Brian are the new property managers and were delightful. They are onsite and very accessible. Sue booked all of our excursions and transportation, including airport transfers. Wifi was a little slow, but they are upgrading to fiber optic so this will improve soon. The basics are supplied as starters. We researched this in advance and brought extra garbage bags, laundry and dishwasher detergent, dryer sheets, etc. We purchased toilet paper and paper towels at a local grocery. Some supplies are available for purchase at Bellevue. There are a few restaurants within walking distance, but other amenities will require transportation. The area is very quiet and laid back and suitable for all ages. I definitely recommend Bellevue and Trinity Beach as a destination and hope we can make a return trip! Great location, appartment, but best of all were the couple who managed Bellvue Brian and Sue. They gave the place an amazing welcoming and friendly feel. Recommend this place to anyone with a young family.